Search engine optimization (SEO) is a powerful tactic that any business owner can use to draw traffic to his or her website. Most tech-savvy business leaders and online marketing pros understand the basics of using SEO on blogs and websites. However, the increasing popularity of social networking sites leaves many business leaders wondering if they can use the same SEO tactics that work on blogs when using, say, Twitter and other social media marketing platforms. Optimizing your tweets for SEO purposes requires a combination of SEO savvy and writing skill. After all, a 140-character tweet doesn’t leave much room for the use of bulky keywords. Instead of focusing just on creating SEO-optimized content for Twitter, you need to focus on your overall Twitter strategy. Keep the following tips in mind when crafting tweets and setting up your Twitter profile. A little attention to detail now can pay off big-time in the long run. Choose a relevant handle and account name. Your Twitter handle, along with your account name, should reflect your business name as closely as possible. Taking great care when selecting your handle ensures that interested consumers will be able to find you. It will also help link the information in your tweets with your brand name. You can generally list your full company name as your account name. Be sure to do so, especially if your handle doesn’t reflect your business’s actual name. Use keyword phrases at the front of your tweets. Some search engine experts believe that it is generally more effective to use keyword phrases in the first 40 characters of a tweet. 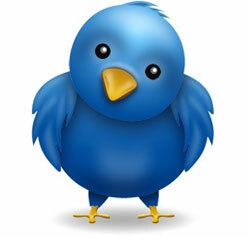 Doing so may increase the chances that search engines will recognize your tweets. Putting keyword phrases at the front of tweets will clue consumers in to what you’re talking about, too. Some business leaders are tempted to go wild with their Twitter accounts, posting fairly meaningless tweets throughout the day. While posting silly tweets is fine on your personal account, you should always choose quality over quantity when posting from your business Twitter account. Focus on crafting one great tweet a day and work your way up from there. Use hash tags whenever possible. Hash tags, which are made with your computer’s pound sign, provide a great way to index your tweets. If you’re a small restaurant focusing on offering fresh, local seafood you might want to include hashtags such as #freshseafood #clamchowder and #SeavilleSeafood. Using hash tags is a great way to ensure that your tweets can be found both by search engines and by Twitter users. Fill out bio info completely. Search engine sites will return results based upon both your handle and the information in your Twitter bio, so be sure to fill this section out completely. You’ll want to be sure and include your business’s website in this section so that your followers know where to find you online. After all, Twitter is about building a following and driving traffic through the use of tweets and retweets. About the author: Toby is a principal with 39 Celsius Web Marketing Consulting and writes from his San Diego office about SEO, PPC, and social media marketing. He has been consulting in the area of online marketing since 2002.